Available in USA, NZ and Worldwide. Click contact (lower right) for a quick reply! We have a wide range of props we like to play with to create fun and colorful energetic routines for your entertainment. 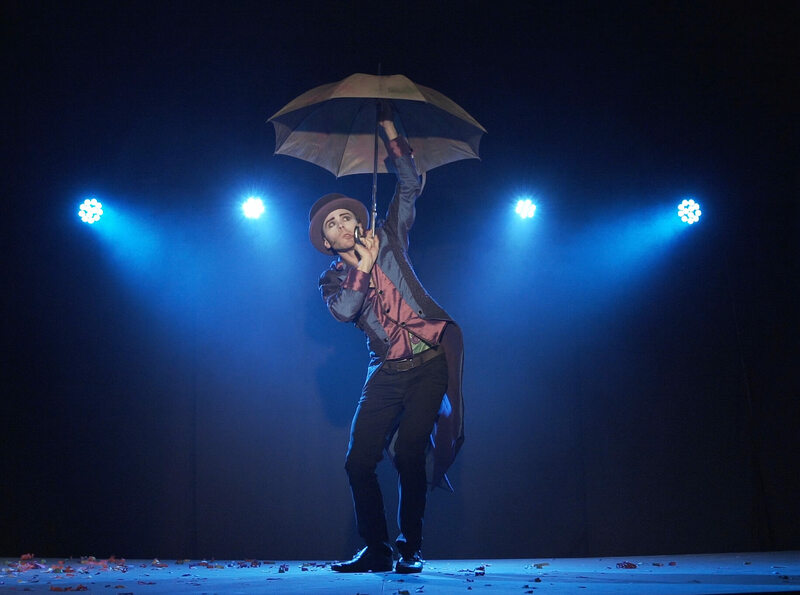 From stunning Silk and Ribbon dancing, to the kooky and fun Hat Juggling or Umbrella Manipulation! Prop Manipulation can happen in an atmospheric and ambient environment at your event OR in the form of choreographed acts for the stage. Tina Phoenix and Rewi Hoop Hooligan both provide visual energy and eye candy for any event. – See more mind blowing prop Manipulation full length acts by CirqueSanity’s Rewi Bracey. CirqueSanity Presents! : "Percy and The Travellors Trunk" in Voila!